As we live in a society where we can utilize credit cards and loans to buy items varying from low to high end product or enrol in post-secondary education to pursue a career will lead to financial instability and the introduction of debt. The debt will be different from individual to individual as to its size, how much payment has to made monthly and the interest rate associated to the debt. Certain individuals may have debt scattered throughout different credit cards and lines of credit while others may have it in a single loan. Without any budgeting or strategies in handling the debt, it can lead to an accumulation of debt that will make it difficult to pay. Financial hardships will start to occur where one will not be able to make the payments on time. The individual’s credit rating will be affected making it difficult to apply for other credits or loans. These are warning signals that it is time to take action to the level of debt and find other means to stop going further into debt. The first thing is to sit down and see where one is at and start a plan to make it easier to pay the debt and when it comes to debt in many places, this would be through debt consolidation. There are instances where if one were too much into debt that the creditors or financial institutions may refuse to offer the debt consolidation. 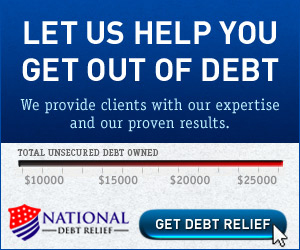 The end result where one cannot pay their debts is through filing for bankruptcy. When one sees themselves having debt through multiple credit cards, loans and lines of credit is the indication right away that the debt should be consolidated. Nobody wants to pay high interest one credit source where it is lower or if another credit source offers a promotion for lower interest. If at possible, the opportunity is there that one credit source has room and a lower interest then there should be no hesitation to transfer the debt from the higher interest rate. If there is a credit card or line of credit that is empty and the company is offering a promotion of 0% or near 0% interest for a specific period of time then consolidate the debt from the higher interest to it. It is better to pay more into a lower interest credit source to accelerate paying off the debt or bringing it down significantly. One has to act early when they see themselves with scattered debt so that they can then manage their debt more efficiently and then create a budgeting plan and sticking to it. Filing for bankruptcy should be a last resort. There are credit counselling and debt consolidation alternatives and it is advisable to seek out non-profit companies. Before going fully bankrupt, look at options where, for lack of better words, one is going partially bankrupt. What I mean by that is there are options where you can keep certain assets like mortgages if you happen to have one. You will not lose your home and it will give you a chance to recover. You would pay a fixed amount for an agreed upon period of time. Note that when you go bankrupt, your credit rating will be impacted negatively and you will lose all ability to borrow. This will not mean that you cannot recover and rebuild your credit. It may take up to 7 to 10 years but you can recover slowly. Some trustees and credit repair companies will even reduce the time if one has acted in good faith to the matter. The difference between debt consolidation and bankruptcy needs to be understood as it will affect one’s credit rating. A drop in credit rating is the most important determining factor that one should avoid. Both Debt Consolidation and filing for bankruptcy will still affect ones credit rating; however, it is better to not negatively impact the credit rating by consolidating the debt if possible. With debt consolidation, it can take a matter of months to a few years to eliminate the debt and stick to the strategy and budgeting skills one has attained. The skills should prevent one from going into massive debt and handle it according to their financial means. This is a learning experience that will lead to financial stability. It is important to come up with a budgeting plan and financial strategies when using credit sources such as credit cards and loans in purchasing products. One should try to minimize using multiple credit sources in order to maintain a reasonable debt that can be payed off in the shortest amount of time. Because debt consolidation does not affect your ability to lend as much as bankruptcy, make sure to not do any credit applications whatsoever once a debt consolidation has been initiated. This is a well-written article on the difference between debt consolidation and bankruptcy. The problem I see with the use of credit cards is people tend to forget that when they use a credit card to purchase anything, they’re using other people’s money which means they are obliged to pay it back with a certain amount of percentage. I have nothing against credit cards because let’s face it, having one is a necessity but like you said in your article, one must learn to manage his debt or he has to consolidate it or file for bankruptcy, which can affect his credit rating. I also do not understand why people have several credit cards, why is one not enough? I do not have a credit card, I use debit card but I have friends who are heavily indebted because they have 2-3 credit cards, what advice can you give to people on managing credit card debts? Credit Cards are a way to build a credit history so that one can gain trust from financial institutions when it comes to borrowing such as a low interest credit card or lines of credit. I do agree that one does not need too many credit cards as this will cause confusion when it comes to what is owed to each one if used. I personally believe that the maximum number of credit cards one should have is three and that the sum of the cards should not be more than ones disposable income. This is where the problem lies when it comes to debt is that people have multiple cards which may contain $8000 or $10,000 credit limit and the temptation is there to borrow and pay back slowly or with interest. The problem is the interest payment payed to the creditor; the more the interest, the less one puts into the principle. When having multiple credit cards, only use it when you can pay it back. If there is one that contains rewards or points for cash back or grocery, use that but make sure not to go over your payment threshold. If there is debt and you have room to consolidate, call the credit card company and ask if they have promotions such as 0 or near zero interest balance transfer for certain number of months or a year. This will then help the person put more into their principal and bring it down aggressively. If one sees items that in their mind looks interesting to purchase, think twice about the item and ask yourself if it is necessary. The last thing you want to do is pull out that plastic credit card, pay for the item and later down the road regret about the purchase if in the end it is not being used. Think more of your health and a free mind instead of being in debt.